Doing business while eating is nothing new. Asking the host to take you to Hyderabad House may not be old. But driving around for 30 minutes and not finding a Hyderabad House in Hyderabad is definitely new. We ended in Sarvi with my host promising me that their food is great, while I've not heard of them before. But any new place and as usual I am game to try. P.S. I have not been to Hyderabad House before and thus the craving. He said he will be happy to place the order on my behalf and I let him. 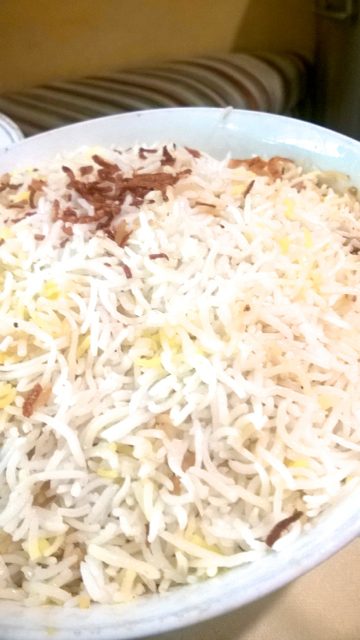 Mutton Biriyani. 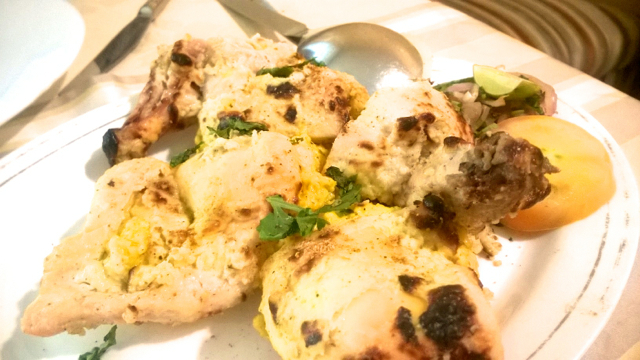 Chicken Bhadshai (I believe I got the name, or at least the phonetics right). 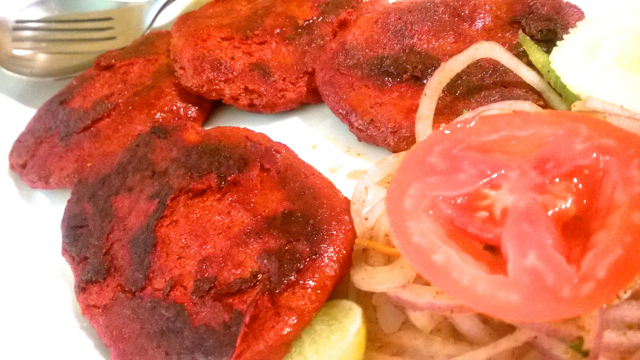 Galouti Kebab. He did not even blink before ordering any of these. He was as confident as ever. We restarted our discussions and waited about 15 minutes for the food to arrive. I was appalled when I saw the biriyani, white in colour. The Galouti was blood red. The Chicken Bhadshai was the only one that looked half way appealing. Reluctantly, with the image of Hyderabad House in my brain, I took a spoonful of the biriyani and immediately stopped. I don't know if it was because my expectations were dropped or because of whatever, there was a flavour explosion in my mouth. The biriyani was fabulous. I will no longer judge a biriyani by its colour. The chicken bhadshai was fantastic. It was rich, full of flavour with I think some almonds and saffron adding to the rainbow of flavours. While the galouti was nice, I believe there was added colour to it, but otherwise I missed the little roti to smear it on. It wasn't great, but certainly not bad. The quantity was amazing. "We eat a lot around here," my host joked. I was a satisfied man. While in Hyderabad twice earlier, I missed having great biriyani and this time I got it. No chicken 65 with biriyani, but no regrets.....when in Rome, eat what the Romans eat. Its better that way. Hyderabad House will have to wait, but I wasn't too unhappy with Sarvi. Oh yeah, on your way out, take some Irani Chai from the ground floor!! !